Does South Africa still have a need for orphan care due to HIV/AIDS in 2018? In October this year, Bethesda Outreach Ministries will be 18 years old. That’s long enough to raise a child from birth through to graduating from high school. A lot can happen in that amount of time, so perhaps we should ask ourselves if what we do is still as relevant and needed today as it was in 2000. Is there still a need in South Africa in 2018 to provide care for children who have been orphaned and left vulnerable due to HIV/AIDS? During the last 2 decades, the medical community has recorded several victories in the struggle against the disease such as a substantial reduction in mother-to-child transmissions, and major improvements to anti-retroviral drugs. 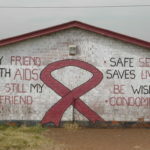 These are largely seen as great victories in the war on HIV/AIDS and have been promoted to such an extent that a perception has been created, (at least in South Africa), that we are winning the war on HIV, but is that really the case? When we first opened our doors in 2000, the reported cases of HIV was estimated to be around 10.1% of the country’s total population, which at that point amounted to approximately 44 million people. In other words, roughly 4.4 million South Africans were infected with HIV in 2000. Today, the prevalence rate of HIV is 12.6% of an estimated population of 56.5 million. This means that today there are more than 7.1 million people living with HIV in SA. To put that number in perspective – that’s more than the entire population of Los Angeles and Chicago combined! While we are improving the living conditions of those who contract the disease, we are not doing well in stopping the rate at which it spreads. 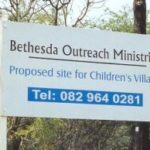 Needless to say, this continues to leave a large and growing percentage of children orphaned, vulnerable, and in great need of care – the very kind of care to which God has commanded us to do from the earliest days and to what Bethesda is committed to continue. Throughout God’s word, He has identified himself to us as a loving and caring Father, and uses the language of family because He tells us what a good father is supposed to look like, even though we may not have first-hand knowledge of one. This picture of God as a Father brings great comfort to all of us in need, and it is this picture that children who have been left orphaned and vulnerable need to understand more than anything else. The answer to our initial question is yes! 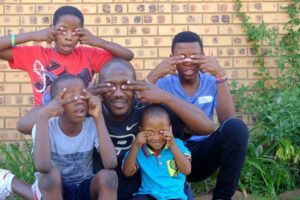 Biblical care of orphaned and vulnerable children is as needed as ever and connecting vulnerable children to the Father of the fatherless through Christian families continues to be the only solution in the ongoing struggle against HIV/AIDS in South Africa today.